Identifying the root cause of the trouble is a good step. Translink, which seems to have learnt how to manage crisis in Pyonyang, thinks it has then took the adequate measure: suspend the electrician whose is alledgely responsible for the tripping of the breaker. Does the risk of accidental tripping of a critical breaker due to electrical work was properly assessed? and its corollary: Does the electrical work was appropriately scheduled to minimize risks on skytrain operation? 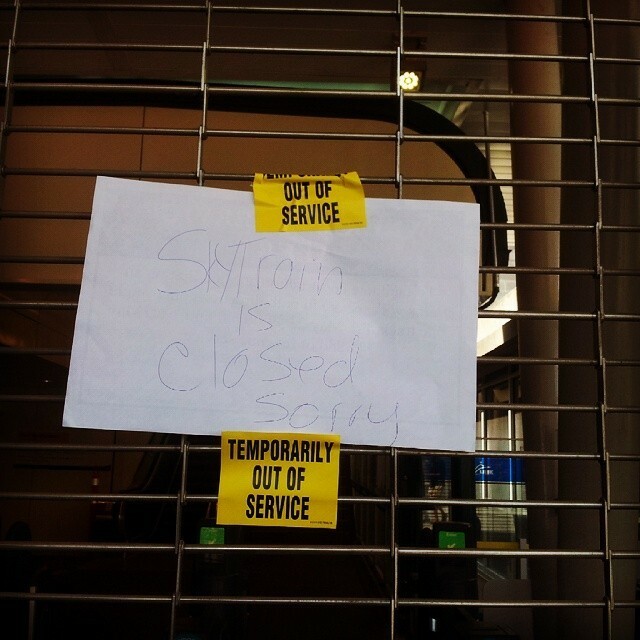 In such occurence, The question is: What is the response of the Transit authority and is it adequate? Does Translink expect people to roast in trains for hours without any information? If a train evacation plan was in place, something one could have excepted to be decided in the minutes following the skytrain halt (a tripping breaker is a priori something quick and easy to troubleshoot, and the consequence on the time to “reboot” the system should be well know). Why Translink didn’t inform its customers about it? Thought the passenger announcement system was down, medium like twitter was available (but used only to mention an unspecified “technical issue”). That brings us another aspect of the issue. 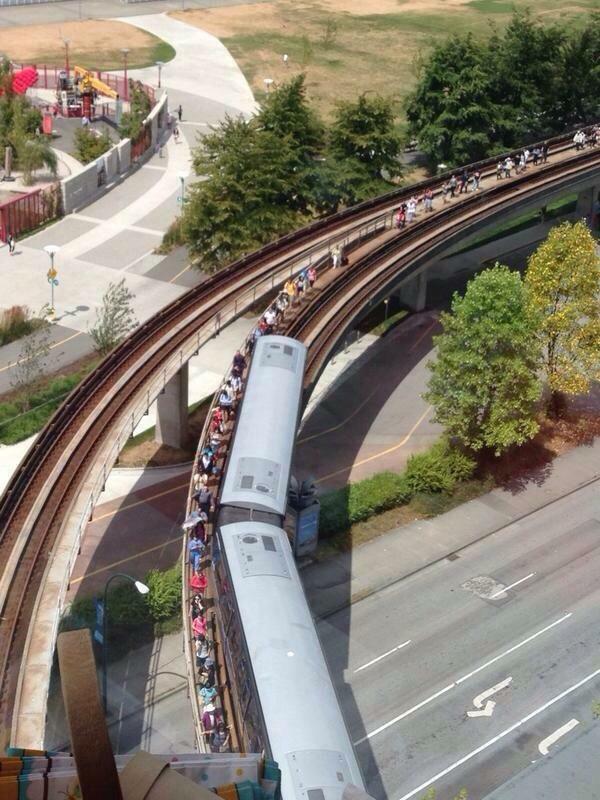 Is the Skytrain system rightly designed? The more the system expand, hence add complexity (be by mile of trackage or by number of trains in operation), the more the chance to have catastrophic glitches. The occurence of it can be reduced by increasing the reliability of the system as is (that can be typically achieved by providing redundancy on key part …but eventually that will not prevent embarassing issues where the whole skytrain system break down, due to a too centralized management of it. The Skytrain reliability is touted at 95%: that measures the % of train running no later than 2mn of its schedule. train can run late, but as long as speed and frequency is maintained, the level of service for the customer is maintained. The measure of the skytrain reliability doesn’t provide us with a good idea of how “late” or “slow” the 5% of trains not “on time” are. The problem is that when a Skytrain is “running late”, it can very quikly means hour delay for the customer. In that light, 5% trains “running late” could be then considered as way too much (a bit like if a driver was facing incident like flat tire or engine break down once a month, but should feel content because the rest of the month, or 95% of the time, the drive is unevenfull…). Per definition a “back-up” system is not working when the main system is…and back up system issue are typically discovered when we need it if not thoroughly and recuurently tested what involve significantly ongoing maintenance cost.